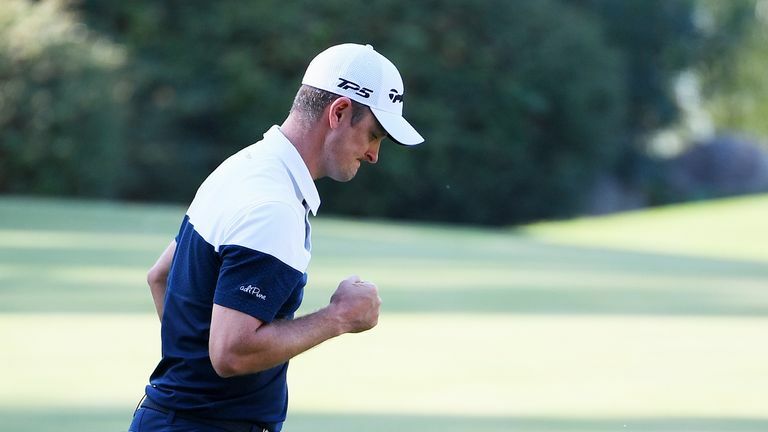 Justin Rose slipped down the leaderboard at the Indonesian Masters after experiencing a putting meltdown during the final round. The Englishman finished short of the par-five 12th green in two and duffed his chip onto the fringe, before under-hitting his first putt and watching it run down the slope to the other side of the green. Highlights from the final round of the Indonesian Masters. Rose left his par-save attempt five feet short of the target and lipped-out with his bogey putt, before carelessly running his next effort past the edge of the cup. The 38-year-old eventually rattled in his next effort to sign for a triple-bogey eight, with the costly effort followed by another dropped shot at the next hole. Rose's putting woes proved costly, as the Englishman finished the week in tied-17th and short of the top-11 finish required to end the year top of the world rankings ahead of Brooks Koepka. Click on the video above to watch Rose's five-putt shocker!